Q-Connect Black Binding Combs 10mm (Pack of 100) KF24020 Pack of 1 Q Plastic Binding Combs, ideal for use with Q Binding Covers. Capacity - 10mm. Colour - Black. Q-Connect Black 12mm Binding Combs (Pack of 100) KF24022 Pack of 1 Q Plastic Binding Combs, ideal for use with Q Binding Covers. Capacity - 12mm. Colour - Black. Q-Connect Black 8mm Binding Combs (Pack of 100) KF24018 Pack of 1 Q Plastic Binding Combs, ideal for use with Q Binding Covers. Capacity - 8mm. Colour - Black. 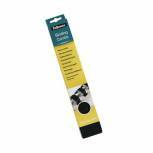 Q-Connect Black 16mm Binding Combs (Pack of 50) KF24024 Pack of 1 Q Plastic Binding Combs, ideal for use with Q Binding Covers. Capacity - 16mm. Colour - Black. Fellowes Apex 6mm Black Plastic Binding Combs (Pack of 100) 6200102 Pack of 1 Fellowes Apex binding combs. High quality mid grade binding combs 21 ring with a comb length of 30cm. Size: 6mm. Colour: Black. 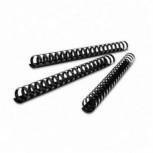 GBC Black CombBind 10mm Binding Combs (Pack of 100) 4028175U Pack of 1 Plastic A4 binding combs. Ideal for booklets and presentations. Size: 10mm. Maximum capacity: 65 sheets. Colour: Black. 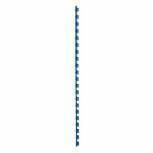 GBC Black CombBind 12mm Binding Combs (Pack of 100) 4028177 Pack of 1 Plastic A4 binding combs. Ideal for booklets and presentations. Size: 12mm. Maximum capacity: 95 sheets. Colour: Black. 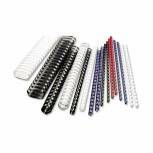 GBC Black CombBind 14mm Binding Combs (Pack of 100) 4028178 Pack of 1 Plastic A4 binding combs. Ideal for booklets and presentations. Size: 14mm. Maximum capacity: 125 sheets. Colour: Black. 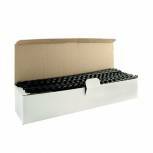 GBC Black CombBind 16mm Binding Combs (Pack of 100) 4028600 Pack of 1 Plastic A4 binding combs. Ideal for booklets and presentations. Size: 16mm. Maximum capacity: 145 sheets. Colour: Black. GBC Black CombBind 19mm Binding Combs (Pack of 100) 4028601 Pack of 1 Plastic A4 binding combs. Ideal for booklets and presentations. Size: 19mm. Maximum capacity: 165 sheets. Colour: Black. 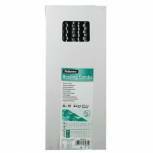 Fellowes Black A4 22mm Binding Combs (Pack of 50) 53481 Pack of 1 Fellowes Plastic Binding Combs 21 ring with a comb length of 30cm. Colour - Black 22mm (151-180 80g sheet capacity). Pack 50. 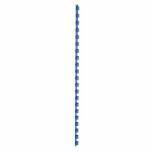 GBC Blue CombBind Binding Combs 6mm 4028233 Pack of 100 Pack of 1 Plastic A4 binding combs. Ideal for booklets and presentations. Size: 6mm. Maximum capacity: 25 sheets. Colour: Blue. 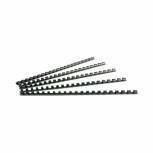 GBC Black CombBind 25mm Binding Combs (Pack of 50) 4028182U Pack of 1 Plastic A4 binding combs. Ideal for booklets and presentations. Size: 25mm. Maximum capacity: 225 sheets. Colour: Black. 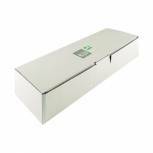 Fellowes Black A4 28mm Binding Combs (Pack of 50) 53489 Pack of 1 Fellowes Plastic Binding Combs 21 ring with a comb length of 30cm. Colour - Black 28mm (211-245 80g sheet capacity). Pack 50. Fellowes Black 10mm A4 Binding Combs (Pack of 100) 5346102 Pack of 1 Fellowes Plastic Binding Combs 21 ring with a comb length of 30cm. Colour - Black 10mm (41-55 80g sheet capacity) Pack 25. 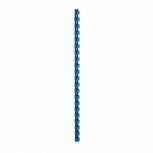 GBC Black CombBind 8mm Binding Combs (Pack of 100) 4028174U Pack of 1 Plastic A4 binding combs. Ideal for booklets and presentations. Size: 8mm. Maximum capacity: 45 sheets. Colour: Black. 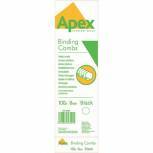 GBC Black CombBind 45mm Binding Combs (Pack of 50) 4028186U Pack of 1 Plastic A4 binding combs. Ideal for booklets and presentations. Size: 45mm. Maximum capacity: 390 sheets. Colour: Black.